Congratulations to Dr. Yun Qian, atmospheric scientist at Pacific Northwest National Laboratory. He was the lead author of a paper that received a 2017 Esteemed Review Paper Prize from the journal Advances in Atmospheric Sciences (AAS). Qian's PNNL colleagues Drs. Hailong Wang and Rudong Zhang co-authored the winning paper, "Light-absorbing particles in snow and ice: Measurement and modeling of climatic and hydrological impact." Researchers reviewed the progress in measuring light-absorbing particles (e.g., soot or dust) that can lead to a fast snowpack melt. Scientists also looked at how the influence of these particles is modeled at global and regional scales. AAS, a monthly journal covering research on the dynamics, physics, and chemistry of the atmosphere and ocean, recognized this paper for exceptional contribution to the journal's development. It awarded the prize based on the paper's download statistics and number of citations since its publication in 2015. As of May 2017, the paper totaled 1,100 downloads. Web of Science points to 28 citations, while Google Scholar finds 34 citations. Essential Science Indicators data have ranked the paper among the top 1 percent of papers in the Geosciences academic field, based on citations in the academic field for the publication year. Qian, who came to PNNL in 2000, does research in regional and global climate modeling, aerosol-climate interactions, light-absorbing particles in snow and their impact, as well as the uncertainty quantification in climate modeling. Qian has authored or co-authored more than 100 peer-reviewed papers in international journals, and his work has received more than 5,000 citations. 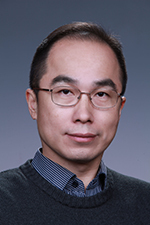 Qian also has served as an editor for Atmospheric Chemistry and Physics.